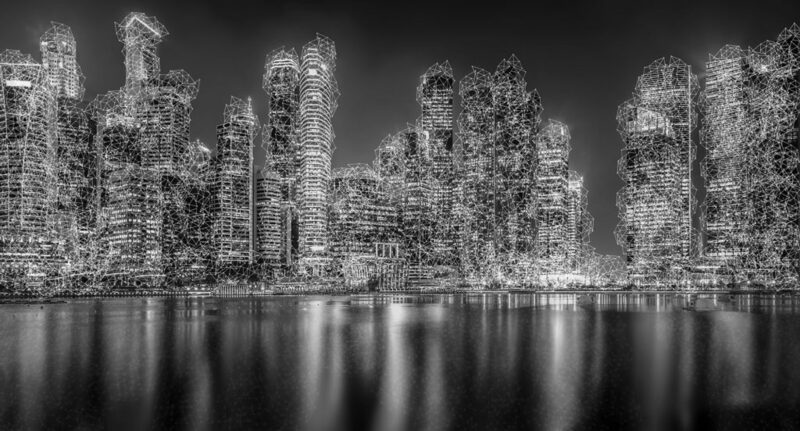 In the past few years we have seen a giant shift in the way we live and work (and party); so, it comes as no surprise that technological advancements in urbanisations are presenting a new set of challenges to our global populations. How do we therefore create sustainable housing, transport, energy, education, health care and infrastructure? The answer is simple: we become smarter! Smart city systems are hailed as the answer to managing resources and the economies associated with the population transitions we are experiencing today. Take London, for example: the Mayor of London, Sadiq Khan, recently unveiled the Smarter London Together smart cities roadmap, aiming to tackle the main inhibitors to digitised cities. Khan’s plan to make London the smartest city in the world relies on inventive data capture and how we put that data to good use to benefit the people. To capture that data, the roadmap requires the city’s 33 local authorities and public services to work and collaborate more effectively with data and digital technologies. The collation of this data will be supported by a new London Office for Data Analytics (LODA) which was developed during a 2016-2017 pilot. LODA will use data science techniques to deliver significant benefits that can be designed around the needs of our population, prove efficiency gains for public services, and explore how new technologies and smart city devices can be used to solve urban challenges such as air quality. As smart cities rely on everything being connected, the technology to not only enable intelligent services, but to connect them with authorities is the bedrock of how a smart city can be achieved. From sensors to The Internet of Things, geospatial technology to AI, the global marketplace is estimated to reach $400 billion by 2020, of which 10% can be reaped by the UK. Fortunately, the UK is recognising this potential market and programmes such as Innovate UK and the Future Cities Catapult are supporting forward-thinking companies to create the solutions to our urban challenges. Innovate UK’s work to assist businesses to realise the potential of ground-breaking new ideas has already seen a commitment of over £1.8 billion, creating nearly 70,000 jobs and £16 billion for the UK economy. And the Future Cities missions – which are intended to offer businesses improved access to knowledge, markets, skills and partners based outside of the UK – help to remove barriers to global growth and have seen companies visit Malaysia, Singapore and, most recently, Australia. Earlier this year (and out of hundreds of organisations), Digital Node was selected for a Future Cities mission to Australia, travelling to Melbourne to showcase how BIM and future cities are interconnected. Melbourne was chosen as the Australian city to support this mission as it was noted that future predictions on the city confirmed a rapid increase in its population over the next ten years. Smart cities systems form a crucial component to the future of our cities, and the use of BIM is only a fraction of what we need in terms of resource, understanding and commitment. At Digital Node, we are supporting the smart cities agenda with enhanced BIM education programmes and spreading the word on what enablers are required to allow us to work smarter.